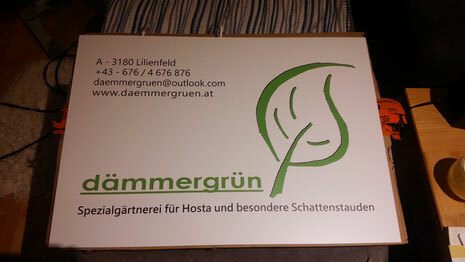 Please also visit our dämmergrün Facebook page ! 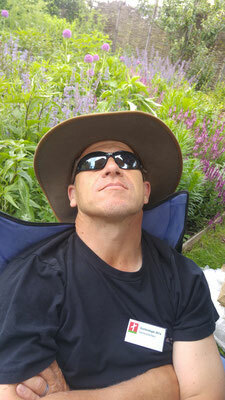 There you will also find current informations . Looking forward to see you there !! 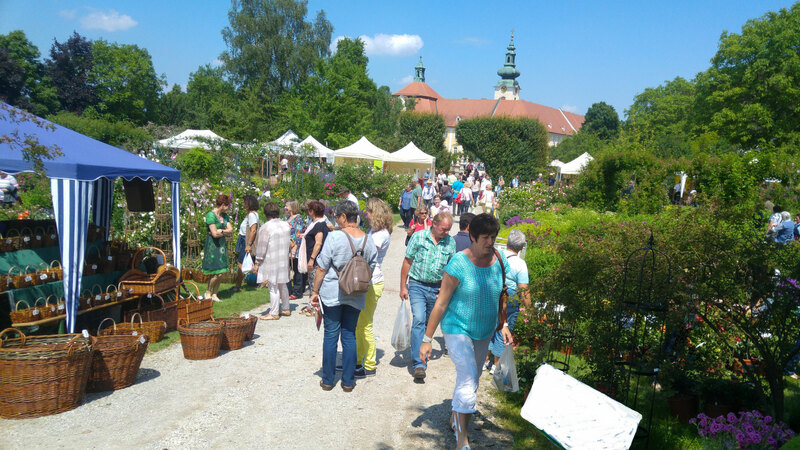 We hope to see you on one or more of our gardenfairs that we are exhibiting this year, one of them in Bavaria. For many photographs of our gardenfairs 2018 please visit our Galerie page in the german section, there you will find pictures of the gardenfairs in Schloss Kohfidisch, Stift Seitenstetten and the Wein4tler Bauerngarten. 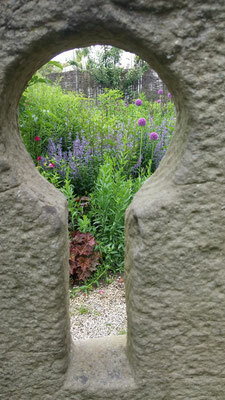 The Gartentage im Schloss Kohfidisch are not far away and we have been busy preparing everything. 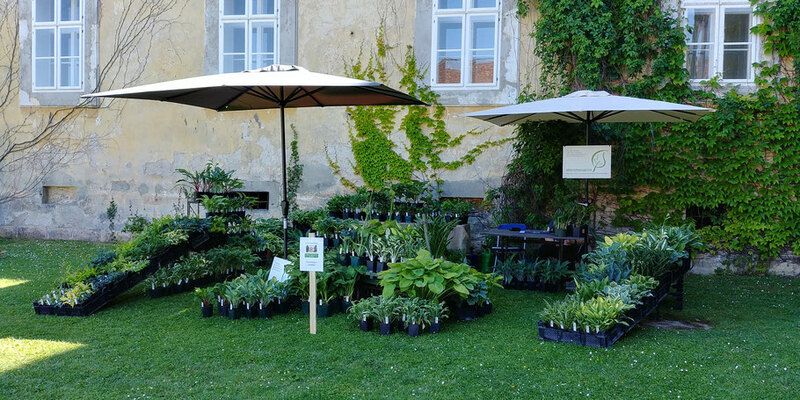 Here you see all the plants that will travel with us to the Südburgenland. 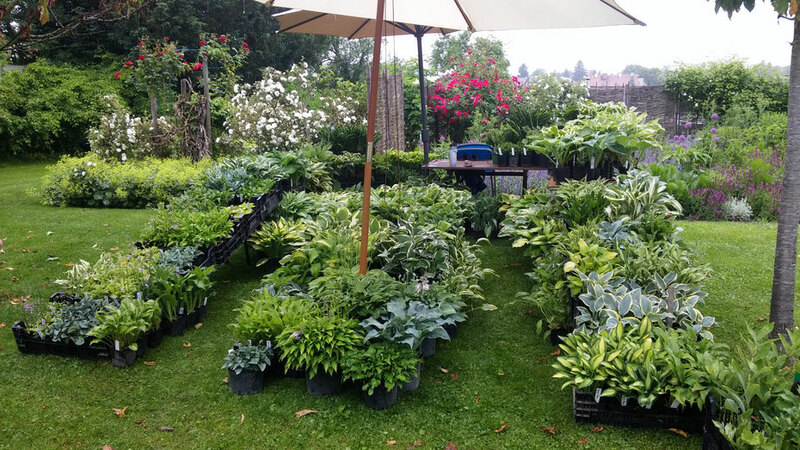 We have a wide selection of Hosta with us, many of them for the first time on the Gartentage im Schloss Kohfidisch. 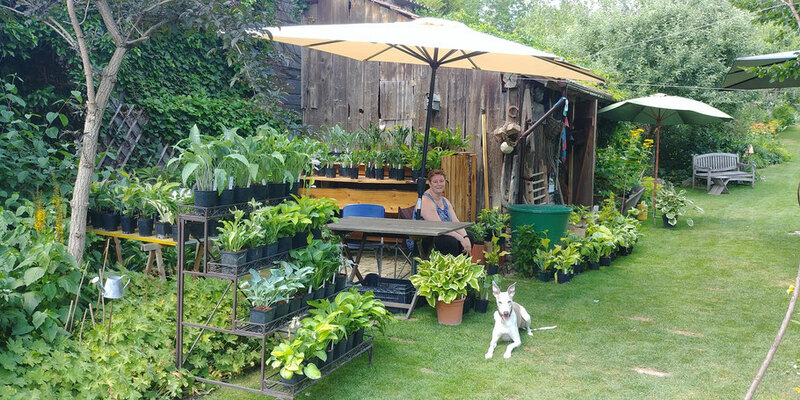 Of course we also have some large plants as well. Large Hostas that are already a few years old and are quite impressive. 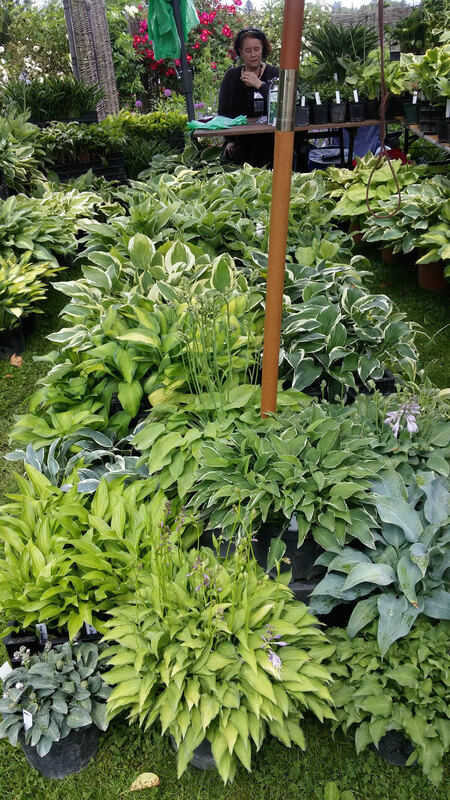 Apart from the Hosta we do offer some companion plants for Hostas. 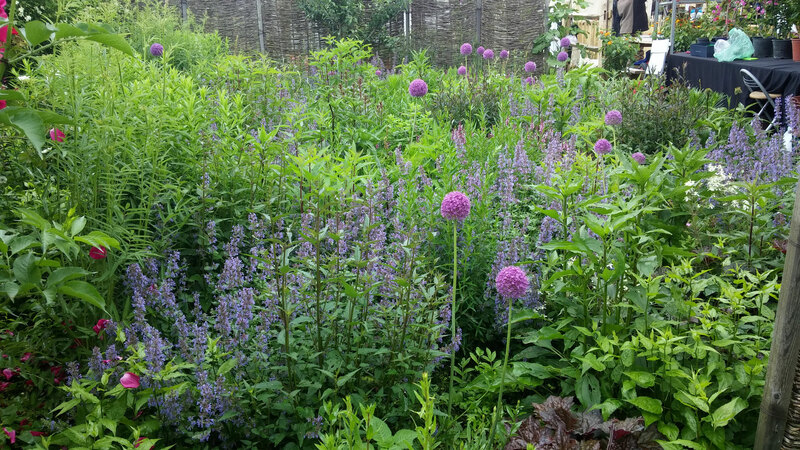 especially Rodgersia and Polygonatum. We hope you will find the time to join us on this wonderful and atmospheric gardenfair in the Südburgenland. 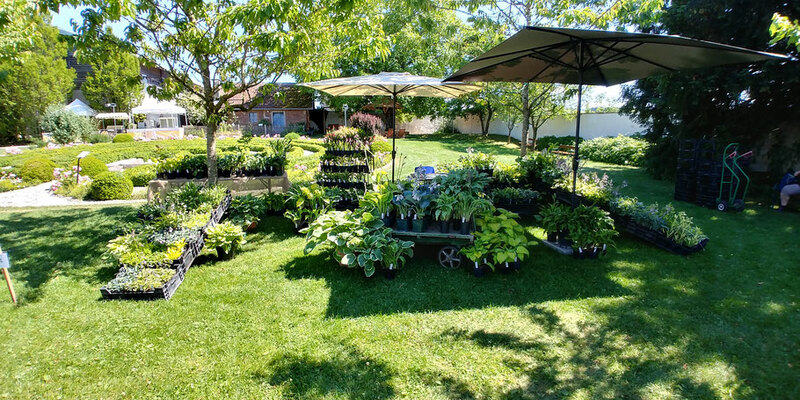 We have a new feature on our homepage, a "BLOG" which is not an actual blog but we will from time to time write some interesting articles about Hostas, for example about how to identify unkonwn Hostas, and other themes are planned. Unfortunately this blog will only be available in German so far. We have another date to announce for this year. 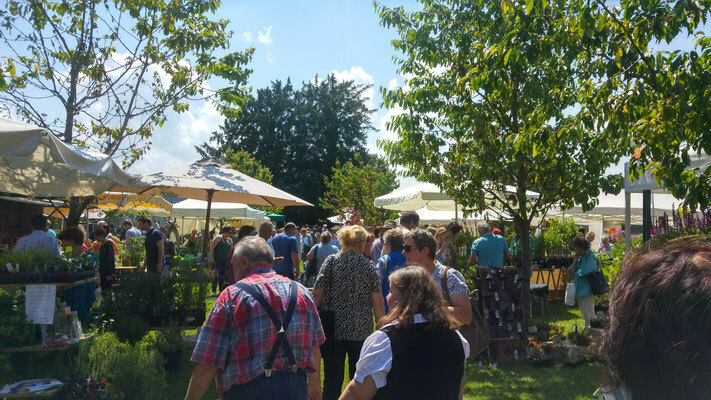 We are happy that we are also 2018 guests in the Wein4tler Bauerngarten. After the very nice and successful event last year, the Hosta -Days will also take place this year. At the 23. and 24. June 2018 the dämmergrün - Team will be there with the Hostas and looks forward to a great weekend and many visitors. 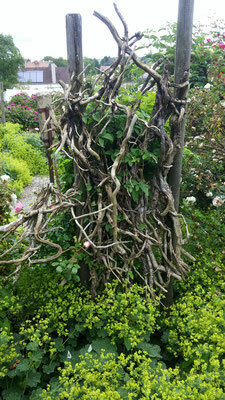 Here you will reach the facebook-page of the Wein4tler Bauerngarten. 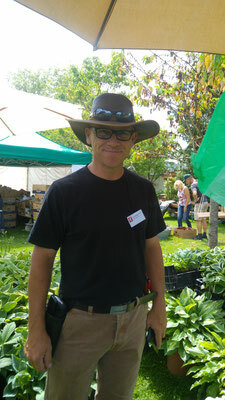 We are looking forward to perhaps meet some of you at our gardenfairs where we are present this year. Attention !!! Please note immediately !!! Gardenlovers will mark these two dates prominently in their diary, because both events offer a huge range of great plants and garden items. We have many plans for 2018. 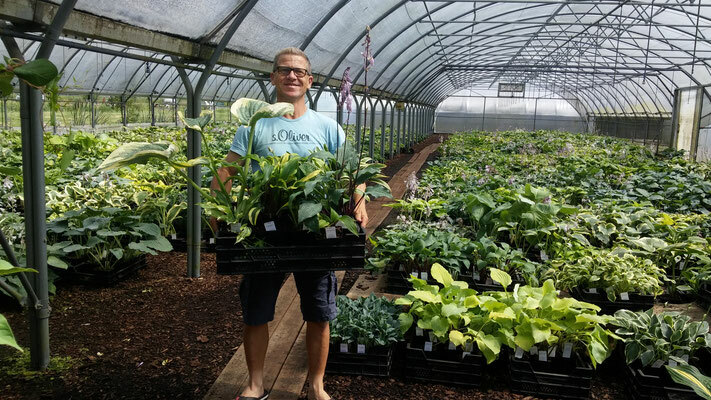 Here you can see a list of Hosta "newbies" that we plan to introduce to our range in 2018. Most of them will be available in the online-shop from summer 2018. 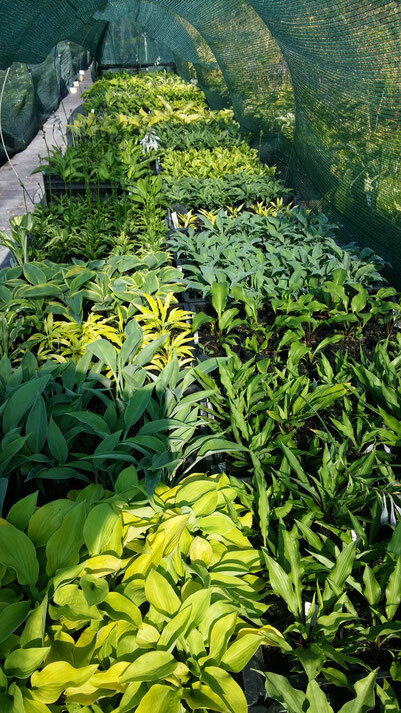 Photographs of thousands of Hostas can be seen on the site of the hostalibrary. 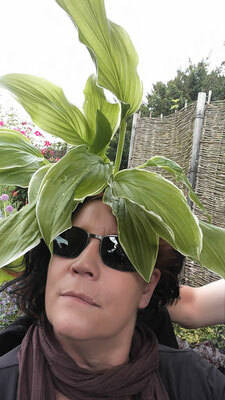 Most Hosta are availlable again in the Online-Shop and can still be planted without problems. 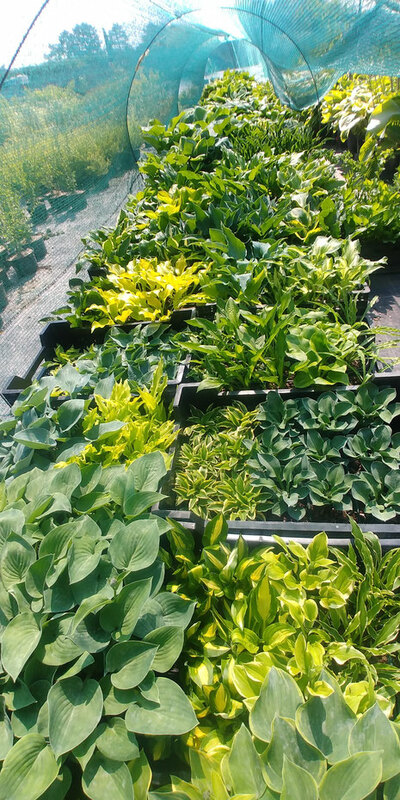 At the moment we are hard-working with our propagation. This is the reason why there are not many Hostas availlable in the shop. Most of them will be for sale again by mid to end August. We hope you understand this. 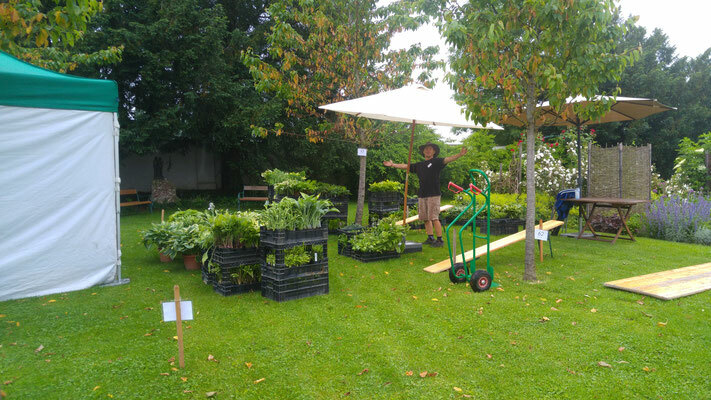 ...and another stand is finished, this time in the beautyful Wein4tler Bauerngarten. It was quite hot while building the stand !! Our stand at the Gartentage in Seitenstetten is ready. We're looking forward to a beautyful weekend and many excited customers ! Our stand at the Gartentage im Schloss Kohfidisch is ready !! It was really warm during the build up but our lovely and courteous hosts reserved a shady place for us !! 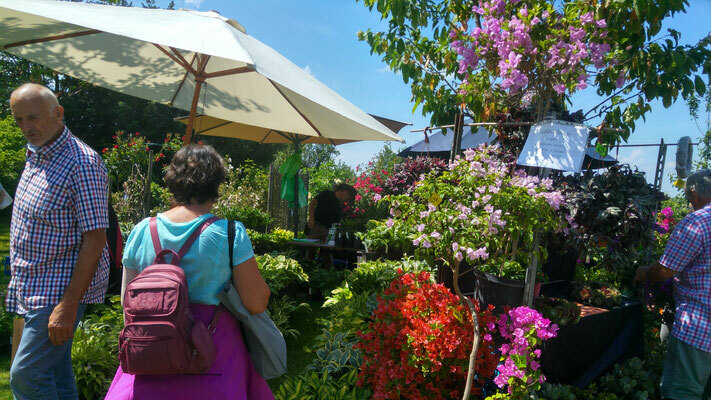 The ambience here is just wonderful and simply made for a stylish garden fair. 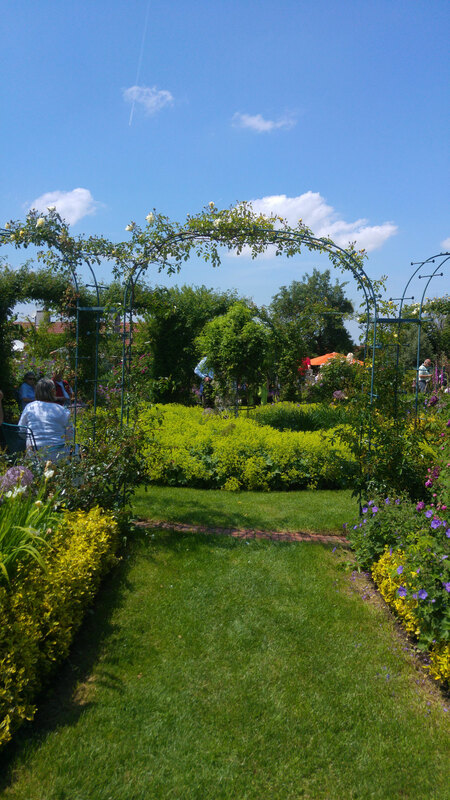 Only a few days left, then our gardenfair-season starts. 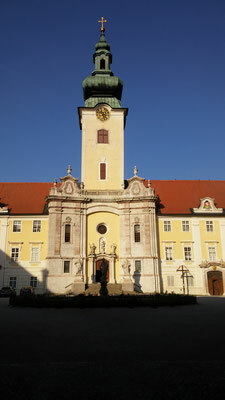 This year we start with the Gartentage im Schloss Kohfidisch in Südburgenland / Austria. 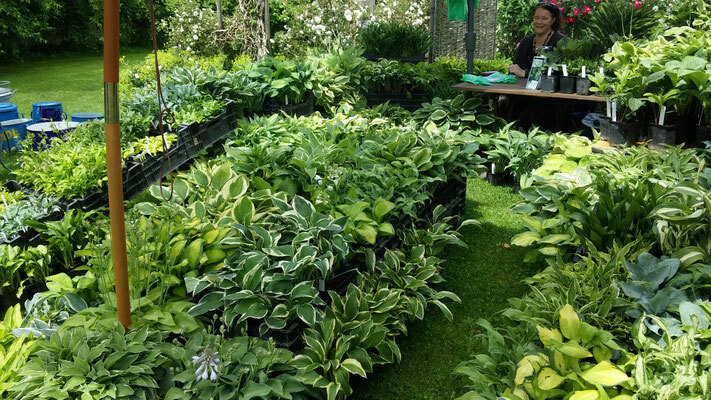 As you can se the plants for our stand there are ready. 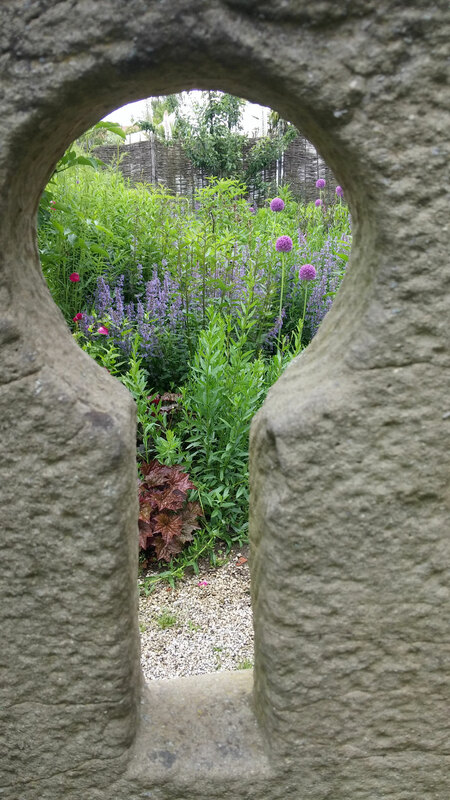 Besides our Hosta we also have a few interesting Rodgersia and Polygonatum with us. Here they are.......our new firm-signs arrived today. 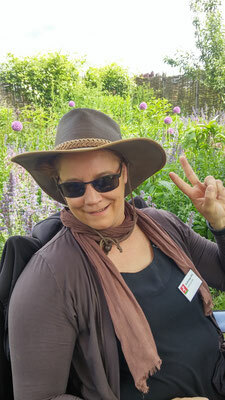 So everybody will recognize us in an instance at the garden-fairs. The dates for 2 more garden fairs at which we will be for the first time this year are fixed. For details to the fairs please click on the respective link in the heading "Dates". The Gartentage im Stift Seitenstetten vom 16. bis 18 Juni 2017. 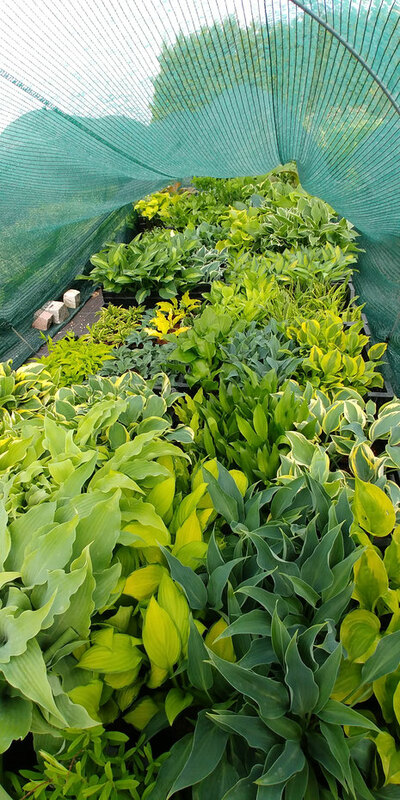 We have added here a list of about 30 new Hostas that we plan to include in our range. The new propagated Hostas are looking good and are ready for sale. 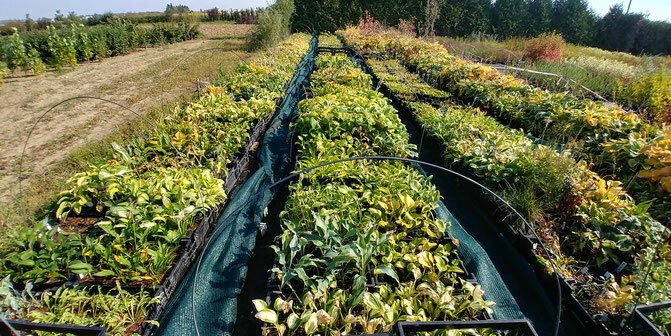 We have propagated about 100 Hybrids. We offer quite a few of them for the first time. There are also many more Hostas that we plan to include in our online shop the coming year. This includes Frisian Pride, Revolution, Dragon Warrior, Adorable, Sea Thunder, Grand Slam to name just a few. Soon you can read here in the heading „News“ which new Hybrids we will offer next year. 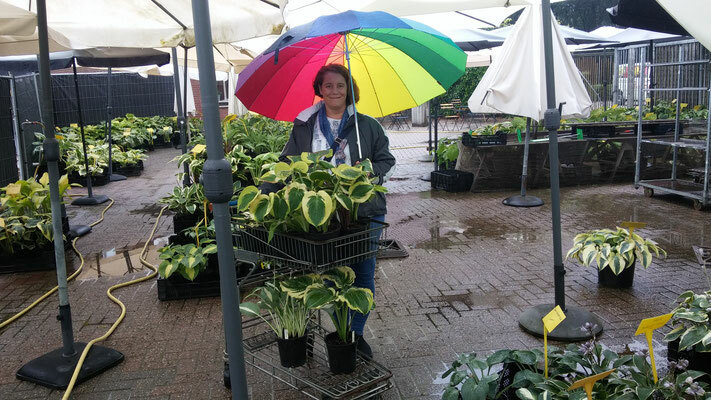 This year we have been on holidays in the Netherlands including vitits to 2 famous Hosta nurseries. As you can see there is a good supply on Hostas for the years to come. Many visitors have been here again. It was a great weekend. We, and we hope all visitors as well, had lots of fun. We are looking already forward to next year. Our stand at the Gartentage in Seitenstetten is ready. 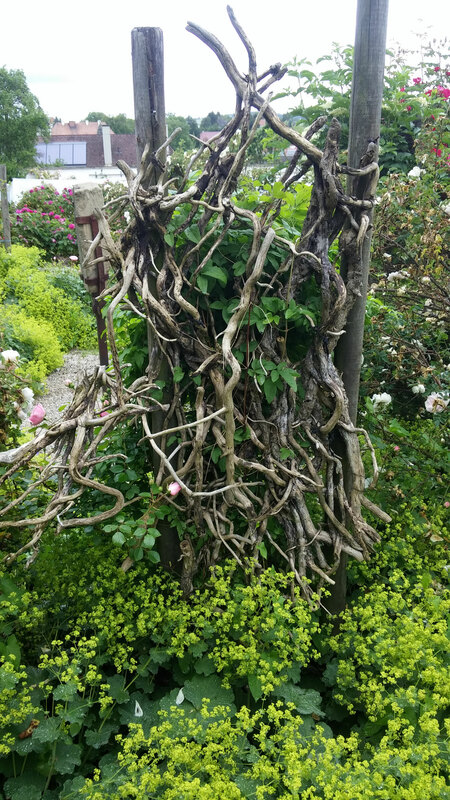 We built it in heavy rain and hope for good weather during the weekend. 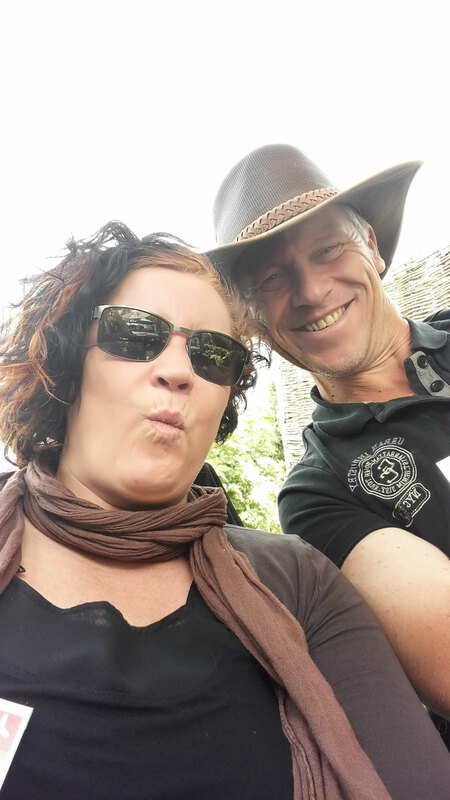 Maybe we see each other there….. 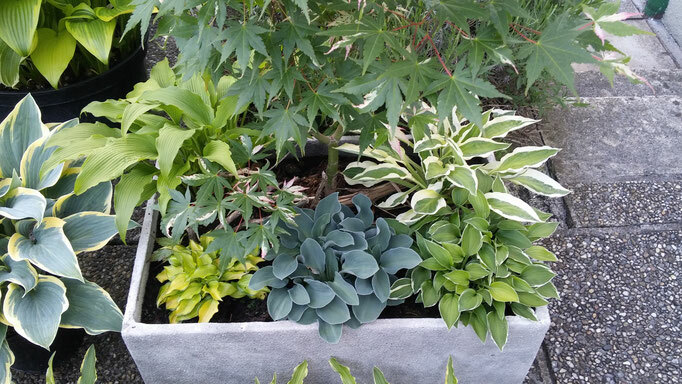 In the middle you can see a Acer palmatum 'Oridono Nishiki' additionally there are - clockwise, starting from top right - Hanky Panky, Allan P McConnell, Blue Mouse Ears, Cracker Crumbs and kikutii polyneuron. The trough is synthetic with stone look.